Photos of the upcoming Motorola Moto Z Play has been leaked online only showing the front of the smartphone. The first photo i uploaded below only shows the device's info (About Phone). The second image shows a picture captured by this device's camera in low-light conditions. Coming to the design aspect of this smartphone, this latest leaks of this device is just still the same with the previous leaked images as the designs are still the same. 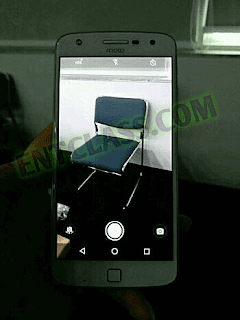 In case you don't know, this said smartphone was recently spotted in a promotional poster in China and the poster clearly revealed that this device --Moto Z Play-- is a modular smartphone with 16MP rear camera and a battery that can run up to 36 hours in standby mode. That's not all cos it is also revealed that 15 minutes of charging will take you as long as 10hours. 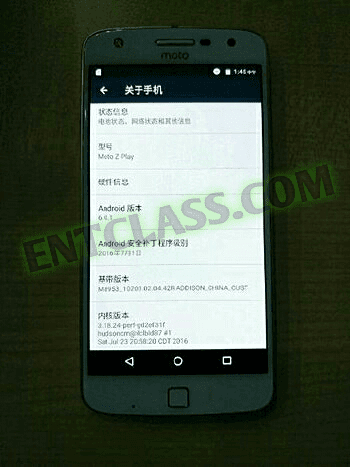 This device is expected to be launched officially on September 6, this year 2016.